View More In Seasoned Salt - Page 4. 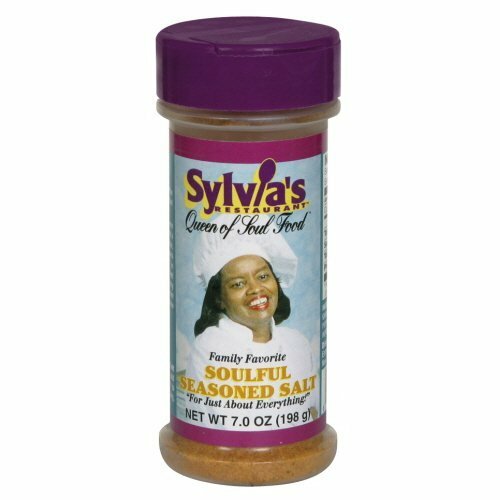 Sylvia's authentic southern seasoning - it's salt with soul. Gives everything a home cooked southern flavor. INGREDIENTS: SALT, SUGAR, PAPRIKA, GARLIC, ONION, BLACK AND RED PEPPER, AND SPECIALLY-SELECTED HERBS AND SPICES. If you have any questions about this product by Sylvia's, contact us by completing and submitting the form below. If you are looking for a specif part number, please include it with your message.